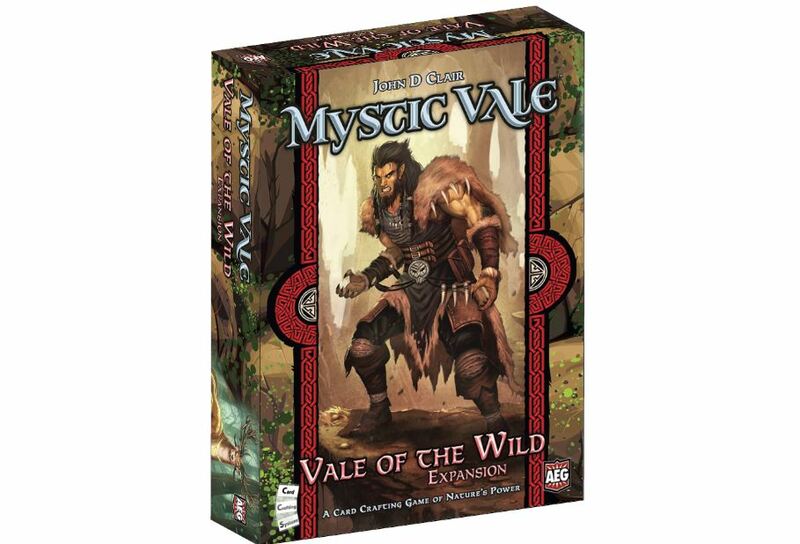 AEG has announced a new expansion for Mystic Vale coming out this month. Vale of the Wild will give players more options for when upgrading their cards. They'll also come with Leaders that players will put into their decks at the beginning which will give them new abilities. Also, Eclipse Advancements can cover over other Advancements, letting you further customize your deck. Vale of the Wild adds a large variety of new advancement and vale cards to the base Mystic Vale game. Players can start the game with new leader cards in their deck. Leaders grant abilities that can be upgraded to become even more powerful! New eclipse advancements may be covered by another advancement and still add its ability to the card, offering greater flexibility to craft cards and enhance powerful combos.